I had a really nice long weekend. I was happy to spend some time with the little fambam and got some much-needed naps in. I have pics to show, but right now, I need to focus on some work and school stuff, k? I'll be back - I always am! Hope you had a glorious three days off and are happy for this short week. Talk to you later, maybe? I seriously have never seen cotton candy that big before. I am about the same size in jealousy! Work hard Mama! Loves! 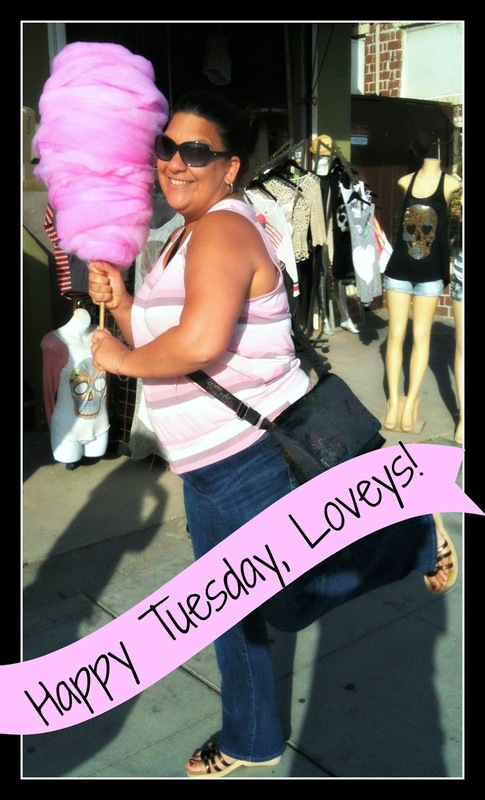 That cotton candy is huge! Looking forward to getting to know you and keeping up with your blog. Well hey there cotton candy. You go focus, you little school girl. Home stretch!